The film noir genre of the 1940s typically includes a strong but flawed male lead and a beautiful woman who coerces the male into committing murder or is herself the killer with a twisting plot that involves one or more murders. These dark dramas shot in black and white are the inspiration for Noir Vignettes for Double Bass and Piano. 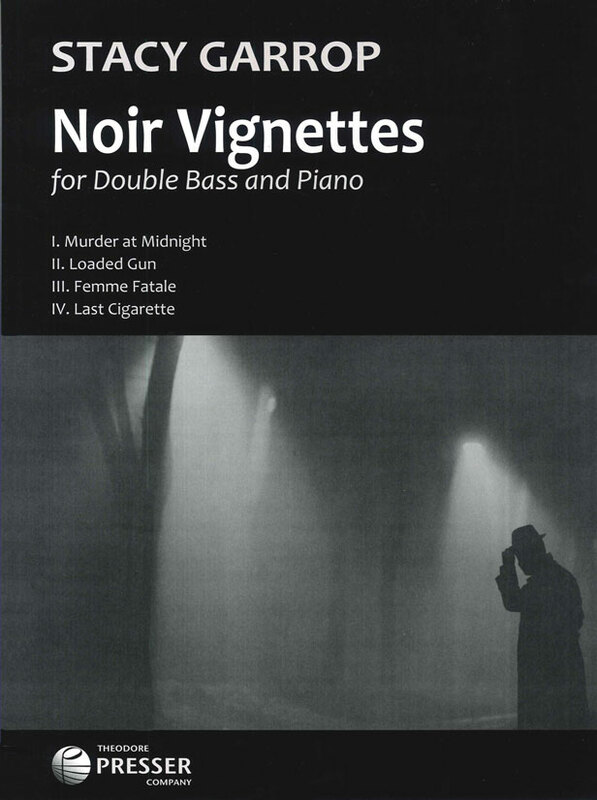 Its four movements comprise aspects of film noir: “Murder at Midnight,” “Loaded Gun,” “Femme Fatale,” and “Last Cigarette.” String bass parts are provided both for standard orchestral tuning and solo tuning. Noir Vignettes for Double Bass and Piano, by Stacy Garrop, Theodore Presser Company, www.presser.com.